Your future will be marked by opportunities to invest money in the capital stock of a corporation. Another option that will present itself is to lend money to a company, either directly, or by buying that company’s debt instruments known as “bonds.” Stocks and bonds are two of the most prevalent financial instruments of the modern global economy. The financial press and television devote seemingly endless coverage to headline events pertaining to large public corporations. Public companies are those with securities that are readily available for purchase/sale through organized stock markets. Many more companies are private, meaning their stock and debt is in the hands of a narrow group of investors and banks. In contemplating an investment in a public or private entity, there is certain information that will logically be needed to guide the decision process. What types of information is desired? What should be known about the companies in which an investment is being considered? If preparing a list of questions for the company’s management, what subjects would be included? Whether this challenge is posed to a sophisticated investor or to a new business student, the listing almost always includes the same basic components. What are the corporate assets? Where does the company operate? What are the key products? How much income is being generated? Does the company pay dividends? What is the corporate policy on ethics and environmental responsibility? 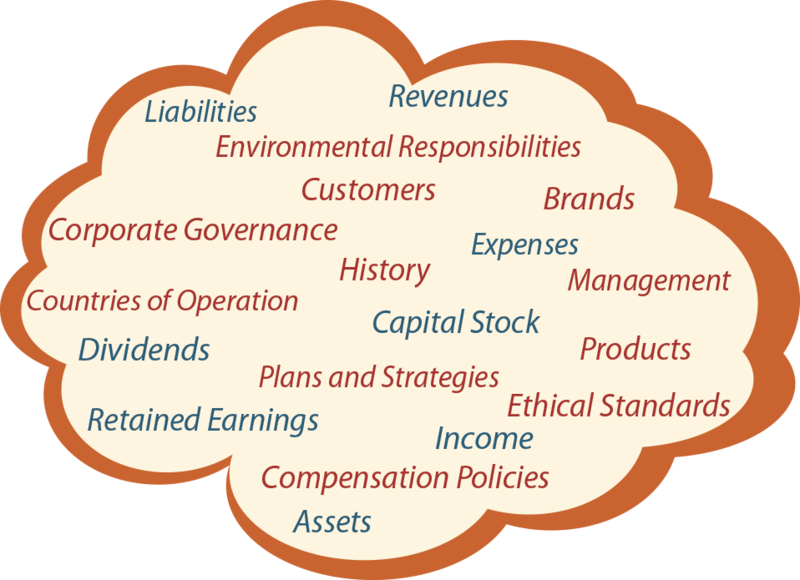 Many such topics are noted within the illustrated “thought cloud.” Some of these topics are financial in nature (noted in blue). Other topics are of more general interest and cannot be communicated in strict mathematical terms (noted in red). Financial accounting seeks to directly report information for the topics noted in blue. Additional supplemental disclosures frequently provide insight about subjects such as those noted in red. And, additional information is available by reviewing corporate websites (many have separate sections devoted to their investors), filings with securities regulators, financial journals and magazines, and other similar sources. Most companies will have annual meetings for shareholders and host webcasts every three months (quarterly). These events are very valuable in allowing investors and creditors to make informed decisions about the company, as well as providing a forum for direct questioning of management. Some investors might even call a company and seek “special insight” about emerging trends and developments. Be aware, however, that the company will likely not be able to respond in a meaningful way. Securities laws include very strict rules and penalties that are meant to limit selective or unique disclosures to any one investor or group. It is amusing, but rarely helpful, to review “message boards” where people anonymously post their opinions about a company. 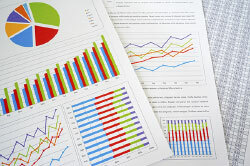 Company specific reports are often prepared by financial statement analysts. These reports may contain valuable and thought-provoking insights but are not always objective. Financial accounting information is conveyed through a standardized set of reports. The balance sheet has already been introduced. The other financial statements are the income statement, statement of retained earnings, and statement of cash flows. There are many rules that govern the form and content of each financial statement. At the same time, those rules are not so rigid as to preclude variations in the exact structure or layout. For instance, the earlier illustration for Edelweiss was first presented as a “horizontal” layout of the balance sheet. The subsequent Edelweiss examples were representative of “vertical” balance sheet arrangements. Each approach is equally acceptable. A summary of an entity’s results of operation for a specified period of time is revealed in the income statement, as it provides information about revenues generated and expenses incurred. The difference between the revenues and expenses is identified as the net income or net loss. Previous illustrations showed how retained earnings increases and decreases in response to events that impact income. A company’s overall net income will cause retained earnings to increase, and a net loss will result in a decrease. Retained earnings is also reduced by shareholder dividends. The statement of retained earnings provides a concise reporting of these changes in retained earnings from one period to the next. In essence, the statement is nothing more than a reconciliation or “bird’s-eye view” of the bridge between the retained earnings amounts appearing on two successive balance sheets. Many companies provide a statement of stockholders’ equity in lieu of the statement of retained earnings. The statement of stockholders’ equity portrays not only the changes in retained earnings, but also changes in other equity accounts. An expanded statement of stockholders’ equity is presented in a future chapter. 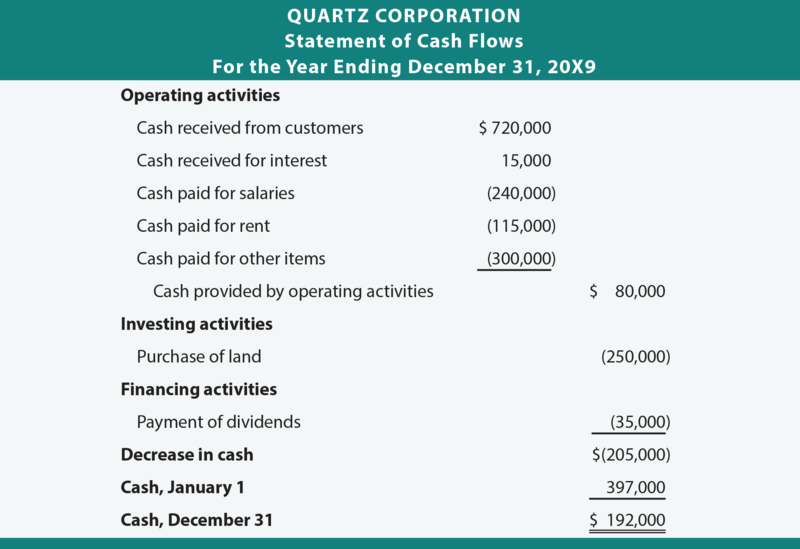 The statement of cash flows details the enterprise’s cash flows. This operating statement reveals how cash is generated and expended during a specific period of time. It consists of three unique sections that isolate the cash inflows and outflows attributable to (a) operating activities, (b) investing activities, and (c) financing activities. Notice that the cash provided by operations is not the same as net income found in the income statement. This result occurs because some items generate income and cash flows in different periods. For instance, remember how Edelweiss (from the earlier illustration) generated income from a service provided on account? That transaction increased income without a similar effect on cash. These differences tend to even out over time. Other cash flow items may never impact operations. For instance, dividends paid are an important financing cash outflow for a corporation, but they are not an expense. They are a distribution of income. The proceeds of a loan would be an example of a nonoperating cash inflow. It would be shown as a financing activity cash flow item. 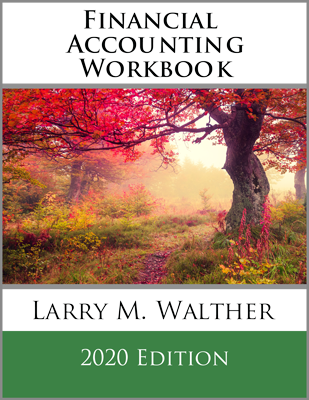 The statement of cash flows requires a fairly complete knowledge of basic accounting. Do not be concerned by a lack of complete comprehension at this juncture. 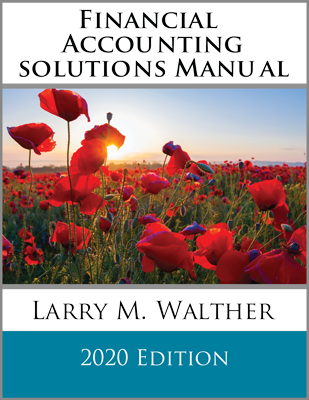 Comprehension develops as studies progress, and a future chapter is devoted to the statement of cash flows. 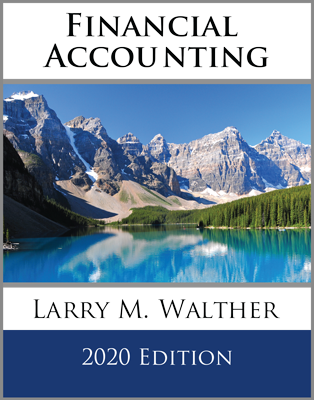 Finally, it is important to note that the income statement, statement of retained earnings, and balance sheet articulate. This means they “mesh together” in a self-balancing fashion. The income for the period ties into the statement of retained earnings, and the ending retained earnings ties into the balance sheet. This final tie-in causes the balance sheet to balance. These relationships are illustrated in the following summary diagram. 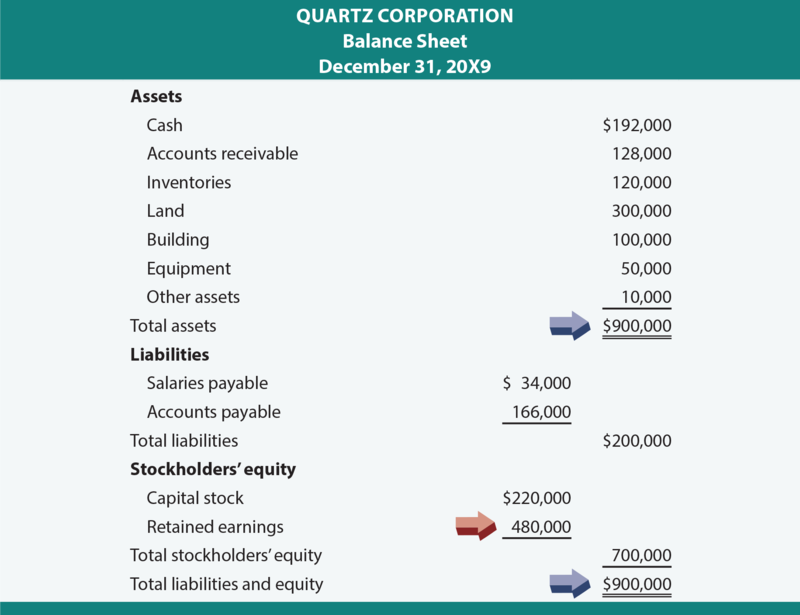 It may almost seem magical that the final tie-in of retained earnings will exactly cause the balance sheet to balance. This is reflective of the brilliance of Pacioli’s model, and is indicative of why it has survived for centuries. Understand what information is provided by financial reports. Understand what useful information is not provided by financial reports. Name the four basic financial statements. Know the proper headings (with their dating) for the balance sheet, income statement, and statement of retained earnings. Be able to prepare financial statements reflecting basic transaction information. Develop an initial understanding of the form and content for a statement of cash flows. Understand that cash flows from operating activities can differ from reported net income. Know that dividends are not an expense. Understand the self-balancing interrelationships between the core financial statements.